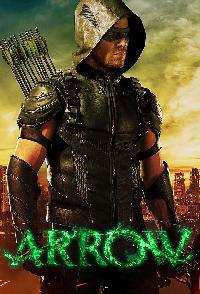 Following Olivers shocking decision to turn himself over to the FBI and reveal his identity as the Green Arrow to the public, Oliver has spent the past five months in Slabside Maximum Security Prison. Determined to keep a low profile to shorten his sentence for the sake of his family, Oliver is tested when he runs into old foes. Meanwhile, Diggle and Dinah have taken on new jobs and left their costumes behind but not everyone is following suit. With her focus on William, Felicity tries to start over but when someone from her past resurfaces, things become complicated. Episode 2 "The Longbow Hunters"
In order to track down Diaz from inside prison, Oliver realizes that will require aligning with an old enemy. Meanwhile, in Star City, Felicitys attempts to root out Diaz are thwarted by Diggle, whose allegiance to ARGUS now requires him to keep civilians like her on the outs. Realizing that she can no longer rely on her old team or old methods, a clear-eyed Felicity resolves to find a new way to go after Diaz. Oliver makes a drastic move in his quest to find Diaz. Like her husband, Felicity pulls out all the stops to get to Diaz. Meanwhile, when arsonists target Renes community center, injuring Zoe in the process, the mysterious new Green Arrow swoops in to help save the day. Faced with pressure from the mayor to capture the vigilante, Dinah must decide if following the rules at all costs is the best plan to keep the city safe. Episode 7 "The Slabside Redemption"
Episode 10 "My Name is Emiko Queen"
As a camera crew follows Oliver and team around to talk about their past as vigilantes and what the Green Arrow means to Star City, Oliver must also deal with Williams return from boarding school as well as a new threat to the city. Episode 13 "Star City Slayer"
Episode 14 "Brothers & Sisters"
Team Arrow attempts to work with the Star City Police Department but much to Olivers frustration, things dont go as planned. Meanwhile, Dinah gets some life-changing news. Episode 16 "Star City 2040"
Mia and William venture into the Glades on a dangerous mission. There they run into Dinah, Roy and Zoe who deliver some devastating news. The flash forwards share highlights from Mias childhood with Felicity.